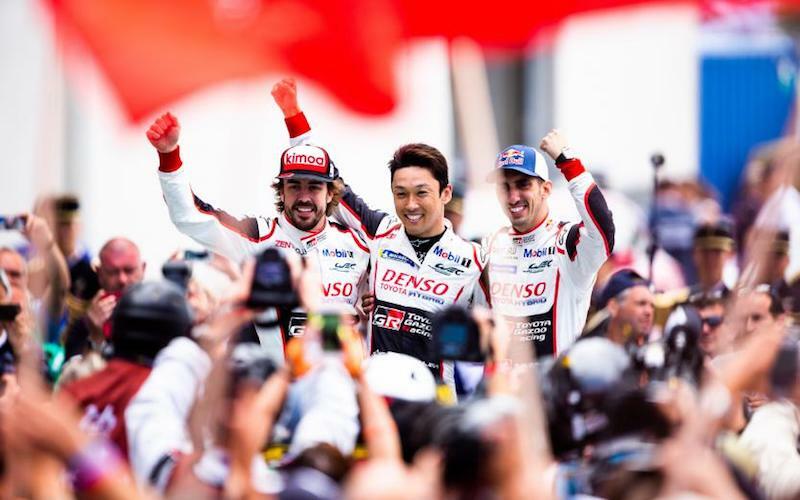 Fernando Alonso, Kazuki Nakajima and Sébastien Buemi have extended their lead in the LMP FIA World Endurance Drivers’ Championship after victory at Le Mans. In GTE, Porsche hold a commanding lead in the manufacturers’ title battle – in part thanks to a post-race penalty handed to Ford. A rule change for the 2018/19 season meant that the 24 Hours of Le Mans no longer offers double points in the championship. As a result, a win or solid points finish at Le Mans is no longer as crucial as it once was, as points are only multiplied by a factor of 1.5. In the LMP FIA World Endurance Drivers’ Championship, the #8 Toyota TS050 Hybrid crew of Fernando Alonso, Kazuki Nakajima and Sébastien Buemi have now amassed a maximum of 65 points from two races and hold a twenty-point lead over their teammates Mike Conway, Kamui Kobayashi and José María López. In GTE Pro, the drivers’ championship is led by Porsche drivers and Le Mans winners Michael Christensen and Kévin Estre with 56 points. However, the Porsche pairing’s lead stands at just 8 points. Close behind is the Ford #66 crew of Billy Johnson, Stefan Mücke and Olivier Pla, who took the win in Spa-Francorchamps but were also third of the FIA WEC entries at Le Mans. The manufacturers’ title in GTE Pro, on the other hand, is a little more comfortable for Porsche. The German marque leads the championship by 46 points after just two rounds, thanks in part to the poor showing by the sister #67 Ford GT so far this season (retired in Spa, 12th in Le Mans). The #67 Ford of Andy Priaulx, Harry Tincknell and Tony Kanaan had finished fourth of the WEC runners at Le Mans, but was handed a post-race penalty for a driver time infraction that relegated the car to 12th. In LMP2, Nicolas Lapierre, André Negrão and Pierre Thiriet lead the drivers‘ championship by 17 points ahead of Spa winners Gabriel Aubry, Stéphane Richelmi and Ho-Pin Tung. The GTE Am drivers’ championship is currently led by Le Mans class winners Julien Andlauer, Matt Campbell and Christian Ried. Full rundown of all the FIA WEC standings here.